Dr. Chloe has a great deal of experience helping clients to get over breakups. Working through a breakup involves getting through the immediate sadness and disappointment, as well as developing an understanding of any relationship patterns that might have contributed to the breakup. 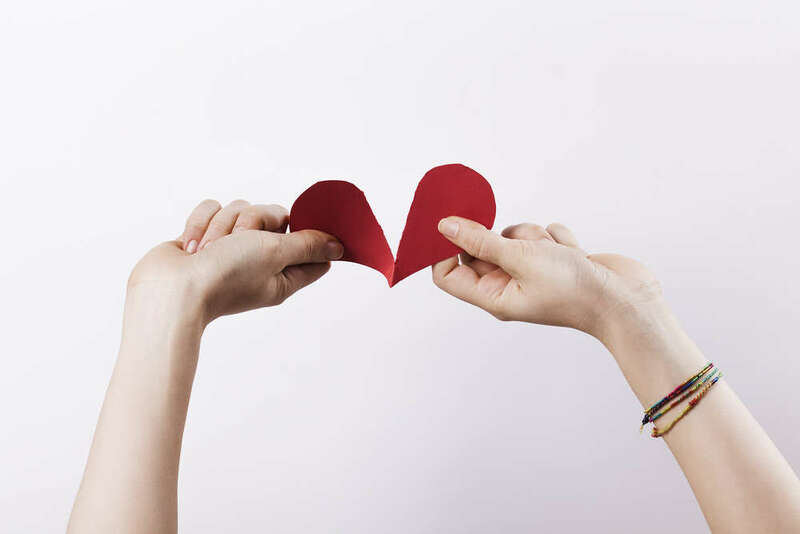 Dr. Chloe will help you to work through the breakup in a way that prepares you to move forward in dating so that you can find a relationship that will last. You may have wrapped your whole life around a relationship, so having the relationship end can feel disorienting. Dr. Chloe will help you learn how to manage feelings of loneliness, which can be one of the most difficult parts of a breakup. Sessions will also focus on how to handle urges to contact your ex, or how to respond if your ex tries to contact you. Sessions also include homework to help you regain your self esteem and sense of yourself. If you have spent a lot of time trying to be the person that you thought you had to be in order to get or keep a relationship with someone, therapy can help you to get back in touch with your own needs and sense of self confidence. Getting over a relationship may also mean that you choose to limit contact with that person. For many people, this is easier said than done. Sessions with Dr. Chloe or her associate therapists help people to stay accountable and remain focused on their goal of getting over a relationship so they can be ready when the right person comes along! Many clients are very hard on themselves because they feel guilty or disappointed that they keep having difficulties dating. Oftentimes, therapy helps a person to see that there are actually some rather simple and practical changes they can make that will set them up for a more successful and enjoyable dating life. What makes a dating life successful and enjoyable? Learning how to manage your emotions so you don’t get attached too quickly, learning how to manage your urges so you don’t get physically involved too quickly, and learning how to express your needs in a way that sounds confident rather than needy. Many clients also say that they actually already know they have a tendency to give too much or too little, but they need support in order to actually make the changes. Sessions with Dr. Chloe or her associate therapists will help you target exactly where you seem to go off track, and then give you specific therapeutic interventions to help you change your dating patterns. Get started on changing old relationship patterns so you can move forward in dating by working with Dr. Chloe or one of her associate therapists, call or schedule a consultation. You may check out the trailer of Dr. Chloe walking you through the 10 Commandments of Dating below. Just $12 for 30 days of full access to this 28-minute video of Dr. Chloe personally walking you through her 10 Commandments of Dating. Watch every day for 30 days to shape your dating habits for success! Get notified about Dr. Chloe’s Break Up Survival Guide Full Program! You’ll be the first to know when Dr. Chloe’s Break Up Survival Guide Program resumes. We’ll deliver the notification straight to your inbox! An event sponsored by Anxiety.org, Dr. Chloe answers your questions LIVE through WebEx, as well as through a Reddit.com /r/IAmA thread! In this “Ask Me Anything” session, the focus is mainly on breakups, based on Dr. Chloe’s popular “Break Up Survival Guide” contribution to Anxiety.org. Check out the video transcripts below, and be sure to read through the extensive Reddit thread! Watch the entire playlist of the live question-and-answer event, or click on a question below to jump to that answer. Read more about this event at this blog post.